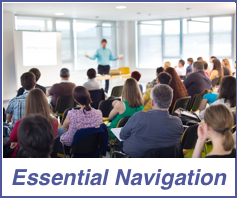 A course for anyone who owns or uses a fixed or hand-held marine VHF radio. The Short Range Certificate is the minimum qualification required by law to control the operation of VHF and VHF Digital Selective Calling (DSC). This includes both fixed and hand held equipment using International channels. We provide this course in two parts: Firstly, an online study module which includes a pre-exam knowledge check. Secondly, a short face-to-face examination with our school’s SRC Assessor . They will require you to demonstrate making different emergency call types and complete a short test paper. During the online part of the course, you will study: The basics of radio operation, the correct frequencies (channels) to be used, distress, urgency and medical assistance procedures, making ship to shore telephone calls, Digital Selective Calling (DSC) using simulators, the Global Maritime Distress and Safety System (GMDSS), Emergency Position Indicating Radio Beacons (EPIRBs), and Search and Rescue Transponders (SARTs).